So I missed out on tickets for next years nationals in Pittsburgh when they originally went on sale and now ticket prices are outrageous. I would rather not deal with scalpers. Any suggestions on how I could get tickets? Not sure but I've heard after conference tournaments that schools get an allotment of tickets. How does that work? I know its a long way off but trying to be proactive. Thanks for any suggestions. You didn't miss anything. They only put crappy tickets on sale in March and all the lower bowl tix get reserved for teams and other groups. In my experience, dealing with scalpers is the next best option. You can buy tix from online brokers, but those will be even more expensive and won't have mid-range priced lower bowl tix; they typically only have nosebleeds or ridiculously priced front section tix. I've tried getting tix through my local Big Ten team, but they said they reserve all of them for their team families; you may have better luck with your local team. Thanks for the response. I just wonder how reliable it would be to buy tickets from a scalper and not get -fake- tickets. Also I wonder how expensive scalper tix would be? Would I be able to get all sessions at one time, looking for a tix before each and every session would not be fun. I would not need lower bowl, I don't mind the 2nd level. Tip: Try to get in with the booster club/wrestling fan club/takedown club of the hosting institution ahead of time and you might find yourself getting access via their ticket block. I know Mizzou had some out-of-state supporters because their allotment in St. Louis is always pretty good. StubHub was pretty outrageous last year. Thanks for the response. Any ideas are welcome. I tried the booster club idea with Nebraska back when they hosted in Omaha. Epic fail! My seats were 2 rows from the ceiling of the arena. I wound up sitting lower level for all rounds when I spotted some empty seats and a lazy security guard. If you want to avoid the scalpers, just keep an eye out for the average fan looking to unload their extras. If it's before the first session, most fans with extra will sell the whole set at face value. If not, the scalpers are usually pretty reasonable - they're looking to unload as much as they can as fast as possible. My experience is with St. Louis & Cleveland and I found the scalpers to be fine. There was a specific corner at each venue where they all hung out and served as middle-men between people unloading tix and people buying. It was the same guys hanging out at the corner each session, so I figured if they sold me fake tix, I could just come back the next session and hit 'em with a fireman's carry. Tickets? Who needs tickets? Well I guess some of you aren't important like I am...some day all of you can run for president. And it wasnâ€™t the type of IDK where it was indecision. As far as the booster thing goes, I know a couple of folks who got great seats with Nebraska and Missouri. Not everything is a home run. Thereâ€™s always a degree of risk. I've posted this before but my favorite scalper scene is when you pass one guy asking who's got tickets and then pass the next guy asking who needs tickets. I point at the first guy. Talked with my suite contact in March, suite prices were 25k for 12 tickets and 40k for 40 person party suite on the end. Now they are 32k and 80k. We are passing and going to watch from home. If I end up getting from a scalper, can you typically get all sessions at one time? Only if you're OK with upper deck seats. I thought like you a few years ago before I started going to these tournaments - wanted to buy tickets the easiest, most hassle-free way possible, and was even willing to pay a significant premium to avoid the circus of scalpers and online brokers. Unfortunately, I've learned that it's not a fan-friendly system. If you want anything other than nosebleeds, your options are: (i) have an "in" - i.e. know someone at a program who will sell to you from the team's allotment; (ii) pay a boatload to an online broker; or (iii) look for the scalpers the day of the event. A couple years ago in St. Louis a homeless guy came up to me and asked me for money right outside the arena. I didn't have any cash on me but I did have a half full cup of vodka and powerade that I hesitantly offered to the man. He looked at me confused, smiled, and happily took the drink from me. This story had nothing to do with scalping or purchasing tickets for NCAAs but I hope you enjoyed it all the same. You can always improve your seating once inside the arena. I have been to 4 NCAAs (Phil. St. Louis; New York; Cleveland) and Cleveland was the first time I considered it a Seller's market. Think Pittsburgh is going just as bad if not worse. I plan on getting my tickets prior to the event, just not sure where, when or how much yet, lol. I've got my tickets already. Bought them in March. Section 112, Row L.
Any idea what the scalper prices were for all sessions in Cleveland? When exactly do the next years tix go on sale to public? Is it right when the current Tourn. starts? The dome may seat 70,000 but will they open that many seats? I've attended outdoor matches for dual meet where it was only 1 mat at the end zone. I was seated lower level and the view was not good at all. Does anyone know what the layout of the stadium will be for wrestling? Configuration for U.S. Bank Stadium is rumored to be north of 24,000 and potentially can expand if needed. I believe one of the end zones will be the "bowl" style seating we get in arenas with a little less than half of the stadium "split." For those who attended UNI back in 1997, it will NOT be that type of configuration. 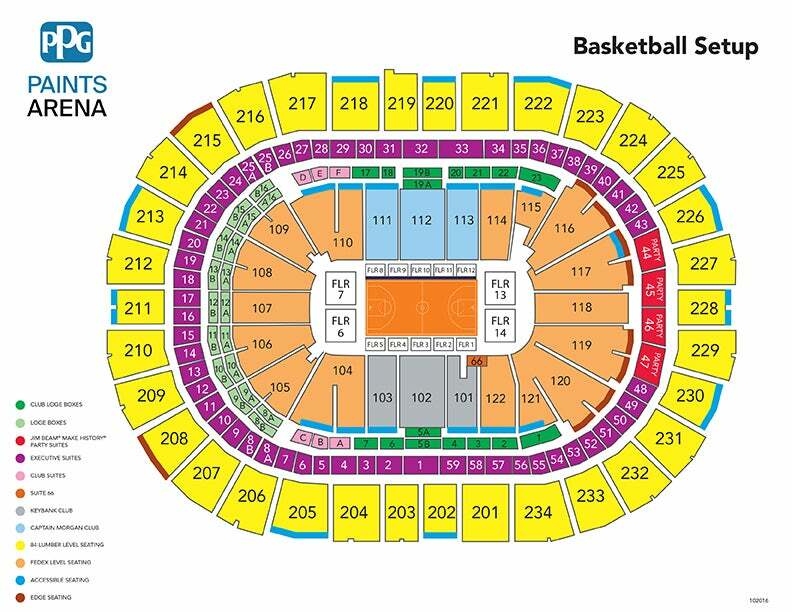 I haven't seen anything recent on a schematic, but it's going to definitely afford fans who have never been to an NCAA Championships the opportunity to check them out. I haven't yet been inside the stadium (I'm not a Vikings fan), but this could be of game-changing potential for future championships.